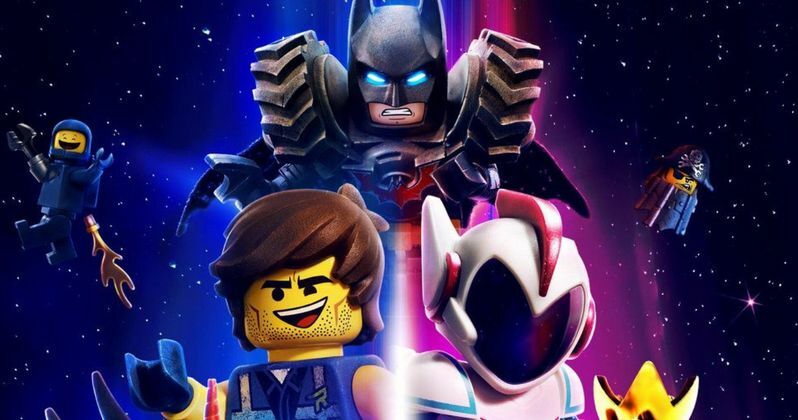 A new trailer for The LEGO Movie 2: The Second Part is here. Warner Bros. released a teaser over the summer that contained some nice bits, but didn't really provide enough context to make it all seem sensible. In some ways, there is going to be a radical shift in tone and we really needed to see a bit more in order to have that make sense. This latest trailer does more than enough to put the pieces in place and this looks just as fun as the first movie did. Everything is awesome once again. The trailer reveals that things have changed quite dramatically since the first movie ended. These characters all live in a Mad Max style post-apocalyptic wasteland now. Kind of dark for LEGO, right? But Emmet is still the same old, unchanged, ever-positive presence he ever was, which is grinding the gears of everyone else who sees reality for what it is. Once the plot kicks in, it becomes clear this is going to be a much more expansive adventure as the movie will take us to space and all over the place. Also, DUPLO blocks have been thrown in the mix this time, which should make for an interesting foe. Easily the best part of this trailer, and likely the sequel overall, is a double dose of Chris Pratt. Not only is he reprising the role of Emmet, but a new character named Rex Dangervest (in honor of Owen from Jurassic World) is pretty much all of his other on-screen characters rolled into one. Guardians of the Galaxy, The Magnificent Seven and even Indiana Jones (a popular fan-casting for Pratt) are thrown in the mix. This alone seems to be worth the price of admission. Also, Warner Bros. and YouTube are partnering up to allow fans to watch the first movie for free. On Friday, November 23, what they've dubbed "Brick Friday," a promoted video for the sequel will come up when someone searches for Brick Friday on YouTube. Watch the promoted video and then The LEGO Movie will be available to stream for free. In addition to the trailer, the studio has also released a series of new character posters, as well as a new theatrical poster, which we have for you to check out as well. The LEGO Movie 2: The Second Part arrives in theaters on February 8, 2019. Be sure to check out the new trailer from the Warner Bros. Pictures YouTube channel below.